Virgin Trains customers could save £11m a year on the east coast route following moves to reduce fares by a third on the day of travel. The intercity operator began offering cheaper advance fares on the day of travel in May this year. These can be less than half the cost of a walk-up fare but are usually only available until 11.59pm the day before travel. The popularity of these cheaper fares has now led Virgin Trains to dramatically expand their availability and the number of destinations on the east coast route where they are sold, making it easier to bag savings when going for a last-minute business meeting or impulsive day trip. More than 40,000 advance fares have already been bought on the day of travel since they were launched by the operator in May of this year, generating savings of £1.8m for customers**. Based on the number of walk-up fares currently bought by customers, Virgin Trains has calculated that the changes could save customers up to £11m a year**. Customers can not only take advantage of a cheaper ticket price through these fares, but also reserve a seat for their journey. As a result of their popularity, new advance fares will be introduced on all journeys south of Edinburgh subject to availability* including Newcastle or Durham to/from London (fares from £44 one way), York to/from London (£36 one way), Edinburgh to/from York (£31.70), and Doncaster to/from London (£25). 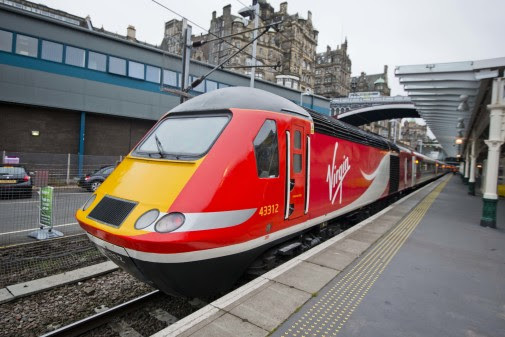 As well as these new fares, Virgin Trains has made even cheaper fares available between Edinburgh and London (£55 one way), and increased the number of these tickets available on journeys between Leeds and London, Grantham and London and Peterborough and London. Nearly 80% of Standard Advance fares, which are the most flexible fare available, will be cheaper from January 2018 than when Virgin Trains took over the east coast route in March 2015. * Fares are subject to availability and available on trains departing after 10am on trains south of Edinburgh. Tickets will be available to purchase up to two hours before the train leaves its origin station. This availability is taken into account in calculating savings. **Calculation is based on the number of journeys made in the last year for which customers bought a walk-up ticket. Calculation takes account of whether walk-up customers bought single or return tickets. Based on this, assuming all customers bought an advance purchase ticket on the day instead of a walk-up fare, the savings achieved over a year could total £10.9m. Fares are subject to availability.